Meher Bharucha, granddaughter of Mrs. Kiran Bedi has released this video seeking help for her and her father. In this video she pleads madam bedi and her own mother as well to not harass her father and his friends by using police influence. In her own words ” My name is Meher Bharucha, daughter of Ruzbeh Bharucha, and the only granddaughter of Kiran Bedi. Kiran nani, why are you using your police influence to harass daddy and his friends? Why are you doing that? Nobody has kidnapped me. Nobody has hurt me or harassed me in any way. Why are you always making a mess out of everything? I just want to be with my daddy and live happily. I am very happy, I am very safe, and nobody has hurt me or harassed me. Mamma why aren’t you getting it? I…daddy and me don’t want to live with you. We do not want to live with you, we want to be away from you. I’m really ashamed of being your daughter mamma, I’m really ashamed. And I’m really ashamed of being a granddaughter of Dr Kiran Bedi – the only one that too. Why don’t you all think? About somebody’s, about your own daughter’s well being? If we do not want to live with you, why are you forcing us? Why are you harassing daddy and his friends, for no reason. Nani, why are you using your police influence? Why?Nani, when i had called you when mamma was throwing chappals on daddy, spitting on him and hitting on him and fighting with him, you told me that this matter is between daddy and mummy, i don’t want to get involved in it. Why are you getting involved in it now? Why are you using your police influence now? It’s too late, right? Why? All those who support me, me and my daddy, in this difficult time, please give a like or comment, please. Thank you.”PS: I am sorry for sharing video of this little child. But I am because this is plight of so many fathers and their children in India. The system treats fathers as criminals merely for wanting to be with their children. Police, courts, commissions, no one wants to hear what the child wants. No matter how much they want to be with their father, they are alienated, brainwashed and eventually withdrawn from the father completely. This has to stop. I just hope this case opens eyes of many to plight of thousands like Meher and her father. You all know national media will not pick this. Please share so that social media initiates this much needed discussion. 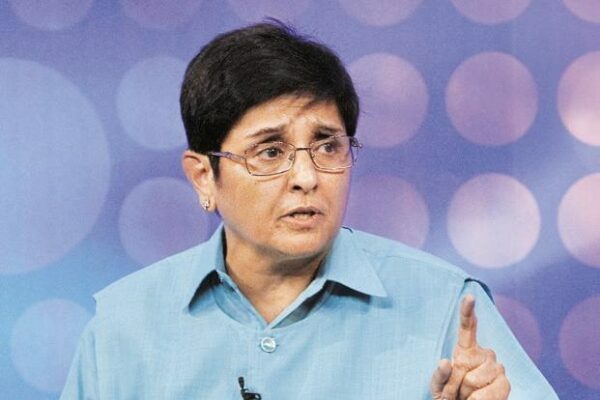 The post Kiran Bedi’s Granddaughter Accused Her For Misusing Her Police Influence appeared first on RVCJ Media.